The best pairings to pick in the game right now. Our League of Legends guide to the best Duo combo Champions in the game outlines some of the best pairings available in the game. We all know that two heads are better than one, and that's certainly the case when you find the right partnership in League of Legends. The idea of picking the perfect duo is to find two champions whose abilities synergise well with each other, so that you can use it to your advantage throughout a match. Some duos may excel in the early laning phase, offering you some early pressure to bully your lane opponents and take control of the game in the opening minutes. Others may work better at securing kills, ensuring you build up a gold lead fast and snowball in power. Then there are others that just compliment each other at any stage of the game. However they work, these are some of the best duo combos in League of Legends right now. This ADC and Support combo works so well together as Nami’s abilities have multiple ways to empower Jhin, making them an imposing force to be reckoned with – especially in the early stages of a match. Paired up they can bully the opposing duo in the bot lane with some high poke damage and slippery maneuverability to enter a commanding lead. A key skill is Nami’s Tidecaller’s Blessing, which increases the damage dealt by an ally’s basic attacks and also adds a slow effect on hit. This works particularly well with Jhin’s slow and steady attacks from his hand cannon, Whisper. 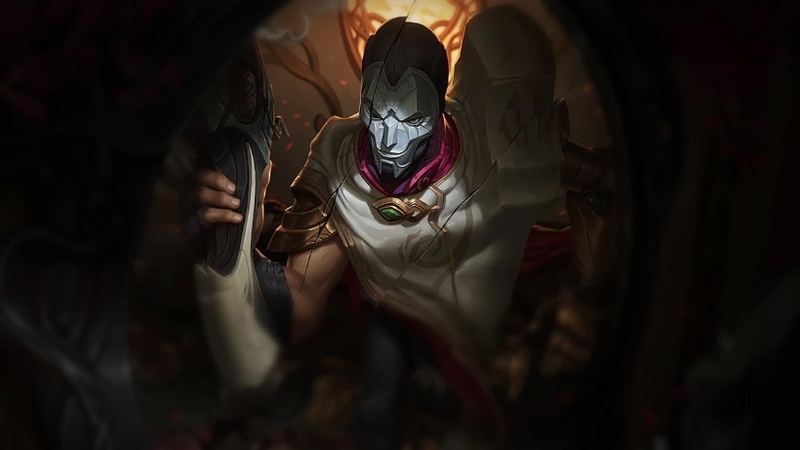 If you time this alongside the final bullet in the chamber of Jhin’s gun, you not only increase the damage of the ensuing critical hit, but also grant a burst of move speed that Jhin can use to apply even more pressure. In fact, every time Nami casts an ability on Jhin she’ll grant him movement speed for a short duration, so timing her other skills with the fourth shot in Jhin’s gun also offers up more ways to chase down opposing champions. Lastly, the pair has some excellent crowd control combos. Nami’s Aqua Prison is a powerful stun that can leave foes vulnerable to attack, while Jhin’s Deadly Flourish can be used as a follow up to lock them down for even more time. Mix all of that together and you have one seriously threatening duo. 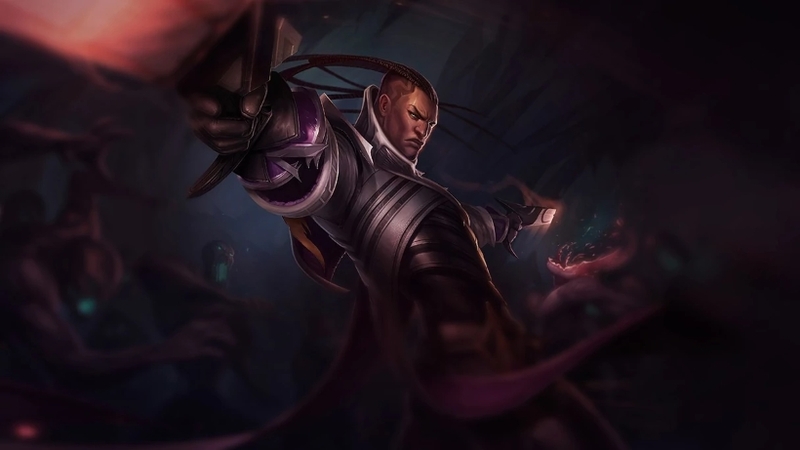 Another strong duo to assert control over bot lane is Lucian and Braum, with their superior poke compared to many other pairs, plus a handful of abilities that work incredibly well when used together. First, there’s Winter’s Bite from Braum. Not only can it be used to comfortably deal poke damage to opponents, but the significant slow on the skill also gives Lucian a wide window to follow up with some extra damage using Piercing Light, Relentless Pursuit and a couple of auto-attacks. Braum can then offer himself and his partner some protection to reduce or completely negate any attempted damage back from a trade. What makes the combo work so well, though, is how quickly the two can trigger Braum’s passive, Concussive Blows. The Heart of the Freljord’s Winter’s Bite and his basic attacks add one stack of the ability to the target, but after the initial one allies are also able to contribute additional stacks from their own basic attacks too. Once four stacks are reached, the opponent is temporarily stunned. This neat little interaction fits perfectly with Lucian thanks to his Lightslinger passive. After he uses an ability, his next auto-attack will fire two shots which – you guessed it – will apply two stacks of Concussive Blows on an opponent. Together, then, Lucian and Braum can very quickly apply four stacks to a target that will leave them open to more follow up damage, or repeated stuns. With these advantages over your opponents, you can dominate the laning phase and snowball into a lead. Caitlyn and Morgana have been a formidable force together in bot for some time now and continue to remain strong thanks to the pair’s high damage, heavy crowd control and ability to play very safely in lane. It all starts with Caitlyn’s range, which makes it easy for her to farm minions and out-poke her opponents from distance. This makes her far less susceptible to ganks from the enemy jungler or roaming mid-laner. You can also eke out small advantages versus your lane opponents with some basic attacks when they move out of position. Where the duo truly excels, though, is with their frightening kill potential. If either the ADC or Support is caught out by Morgana’s Dark Binding then that provides a lot of opportunity for Caitlyn to follow up with damage from auto-attacks or Piltover Peacemaker. Still, you can aim for even better than that by placing a Yordle Snap Trap right by the feet of the bound target, which will trigger immediately if they run into it. 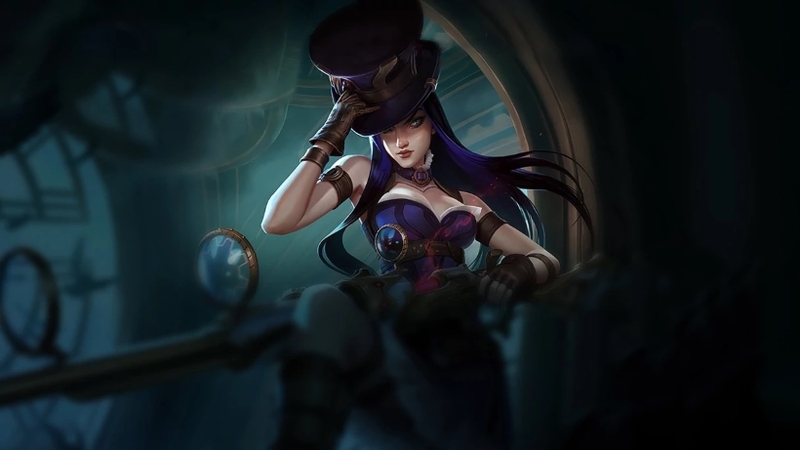 This will give you ample time to apply even more damage, especially when you consider the bonus damage coming from Caitlyn’s Headshot passive, plus the continual damage from Morgana’s Tormented Soil. Worse case, you’ll force them to awkwardly manoeuvre around it, which can send them on an awkward path where you can punish them with extra poke. If you add on top of that the extra security blanket from Morgana’s Black Shield, which can negate incoming crowd control and reduce damage taken, as well as the playmaking possibilities in her Soul Shackles ultimate, then you have a duo that threatens to run away with the game if left unchecked. This is a duo that can win games simply by the combined power of their ultimate abilities. However, unlike ADC and Support duos in bot lane, this pair will usually be split between top and mid or jungle and mid. And while they can hold their own in these positions as strong presences, their true potential is unlocked from level six onwards. From this point in the game Malphite and Yasuo can execute what is commonly known as a “wombo combo”. In less ridiculous terms, it’s essentially a combination of moves that when executed together can have a devastating impact during a team fight that will often outright win the engagement for your side. Players love uncovering these sorts of impactful plays and new ones emerge all the time, but this is one of the many standouts. 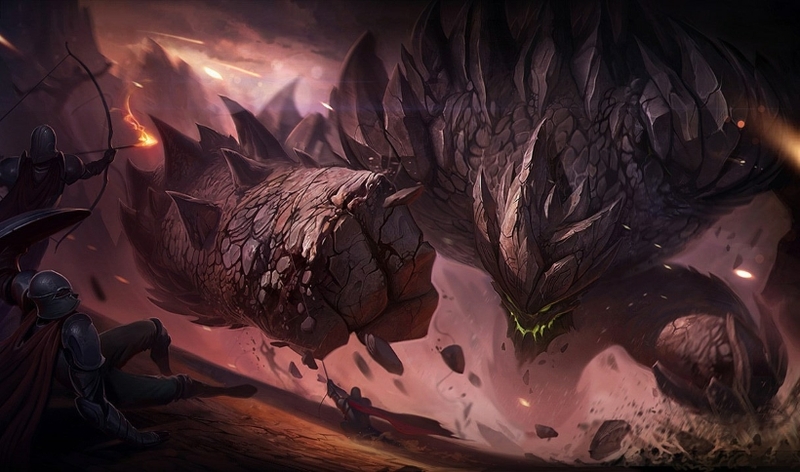 The plan is to engage in a team fight using Malphite’s Unstoppable Force ultimate, which sends him charging at enemies while dealing damage and knocking them into the air. Then, Yasuo immediately follows up with his ultimate, Last Breath, which deals significant damage to a single airborne target while also holding other airborne enemies in the air for an extra second. That combined lock down time and barrage of damage should be enough for you to wipe out whoever is caught in the mess. It’s a glorious combo when you can pull it off, but smart teams will expect it and try to avoid grouping up too much. A good flank or ambush from the fog of war will be able to catch a team off guard, though, giving you the opportunity to set it up again. This wombo combo is near unstoppable when used correctly. As you might expect, when two champions are designed specifically to be played together then it would make sense that they are also one of the best duos available in League of Legends. There’s nothing so extreme within either of their kits that makes them overpowered when played together, but Xayah and Rakan do gain a few handy bonuses alongside some natural synergies between their abilities. As the Support, Rakan can use Grand Entrance and Battle Dance to dash in and out of fights to offer up some poke damage. The former is particularly useful for setting up follow up damage, while he gets a handy bonus on the latter when targeting Xayah, which gives it some extra range so he can provide the shield more easily. His final basic ability, Gleaming Quill, is not spectacular for healing but does an OK job of sustaining the pair in bot lane. 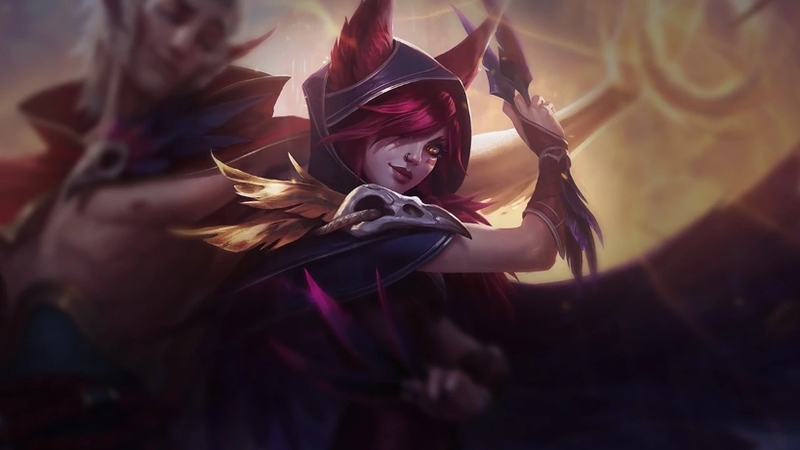 Onto Xayah, she’s a superb ADC in her own right as she flings feathers about the field, but she can take full advantage of Rakan’s skills to take an even more dominant position. The setup from Rakan’s Grand Entrance, for example, gives her the perfect opportunity to line up her Bladecaller ability, which calls back all feathers on the ground that can root a target in place immediately after his knock up. She can also give him the benefits of her Deadly Plumage ability, providing both a buff to attack speed and movement speed. Sure, it’s an obvious pairing, but when they suit each other so perfectly with a marriage of damage and control then why not make the most of it?